It’s the beginning of the weekend after a long week at work. That sounds like a good enough reason to make some margaritas. Not just your everyday margaritas, but watermelon is involved. Can you believe I have never had a margarita before! 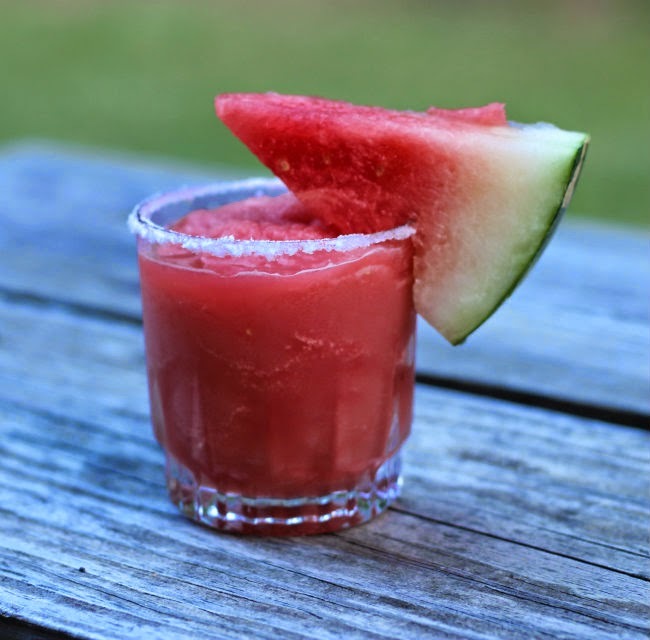 I knew that it was time to change that, when I saw a recipe for this frozen watermelon margarita. I love watermelon in the summer time and we had a nice ripe one sitting in the refrigerator. 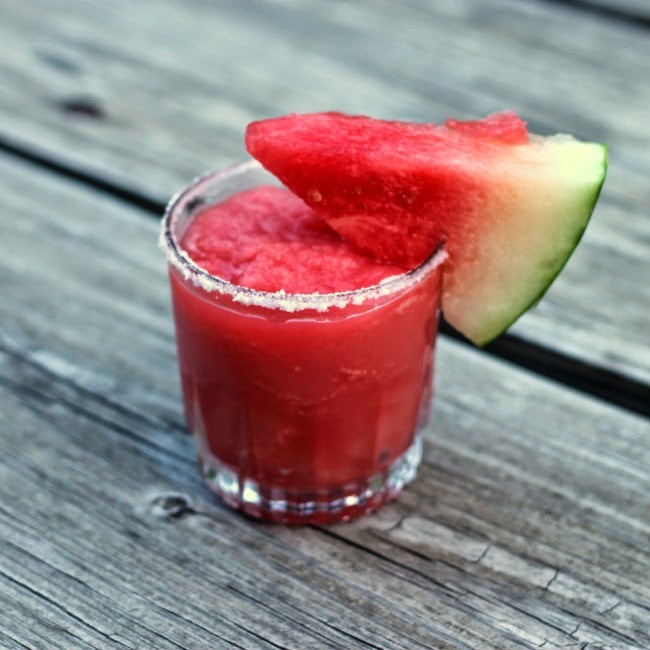 It turns out that watermelon is excellent in a margarita. I froze the watermelon overnight and used my blender to blend up the margarita, with the frozen watermelon I didn’t have to use ice. The frozen watermelon was enough to make this margarita nice and thick. I have a feeling I will blending up some other drinks with frozen watermelon in the near future. 1. Place the melon chunks in a plastic bag and freeze until solid. (I froze mine overnight). 3. Add all of the ingredients into a large blender and blend until smooth. Divide into glasses and place a watermelon edge on glass and serve. Welcome to the world of frozen Margaritas. There’s no doubt that they’re especially good with fresh fruits. Hope you keep experimenting, I find it so much fun. Yummy! I love margaritas. I’ve found mostly, though, I just like the excuse to drink something sweet. This would be good even without tequila, I think! I love a good margarita. 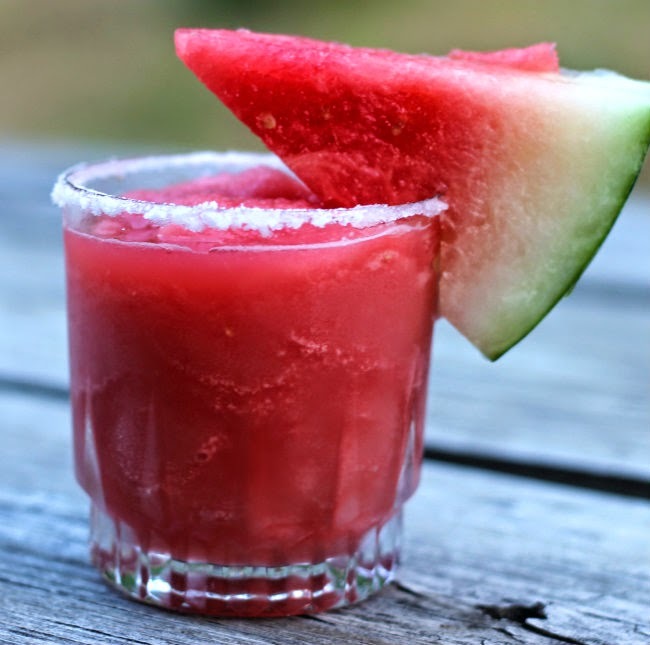 I’ve never had a watermelon margarita but I KNOW I would love it!